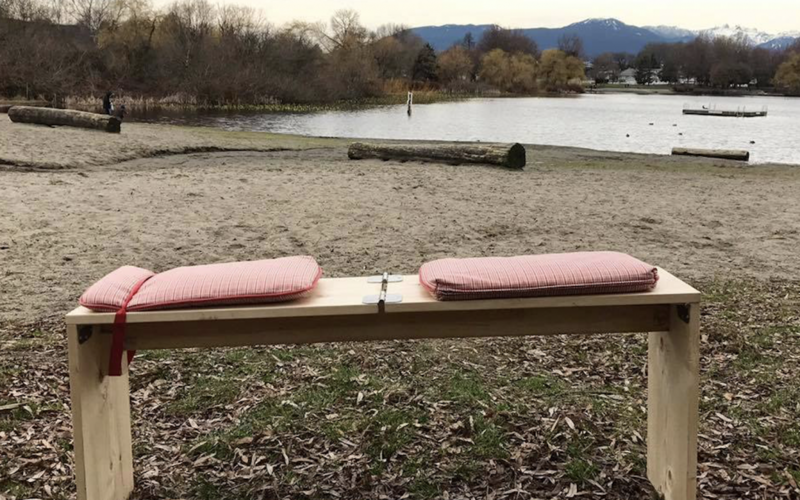 On August 8th and 9th, “the bench project” will be visiting Granville Island. This project invites one participant at a time on an embodied mobile experience to consider and feel through what it means to live on unceded and stolen indigenous lands. Participants can either sign up online (see link below) or show up in person on a first-come-first-serve basis. Limited spots are available. Although ‘signup is limited (with additional time allocated for drop-in spots) there will be a ‘living room’ stationed on Granville Island where you can explore various different mediums. We will have poems, books, and articles for you to read that engage with our relationship to the land (what it is, and what it could be). We will also have a designated listening booth for music and/or podcasts, creative writing and art prompts. Heather Prost (she/her) will be your host at the ‘living room’ and will be available to sign you up for “the bench project” as well as explore and engage in dialogue.